Omega-shaped individual with distinct ablation features and pronounced regmaglypts. 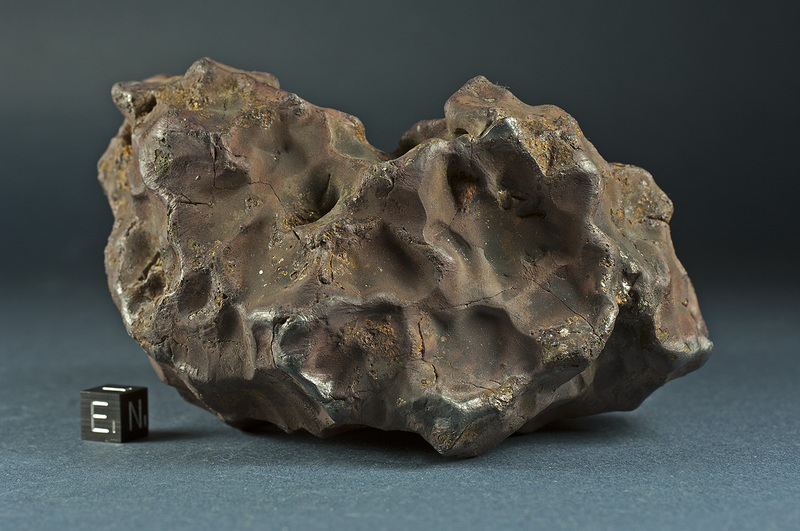 The iron meteorite is in uncleaned find condition. 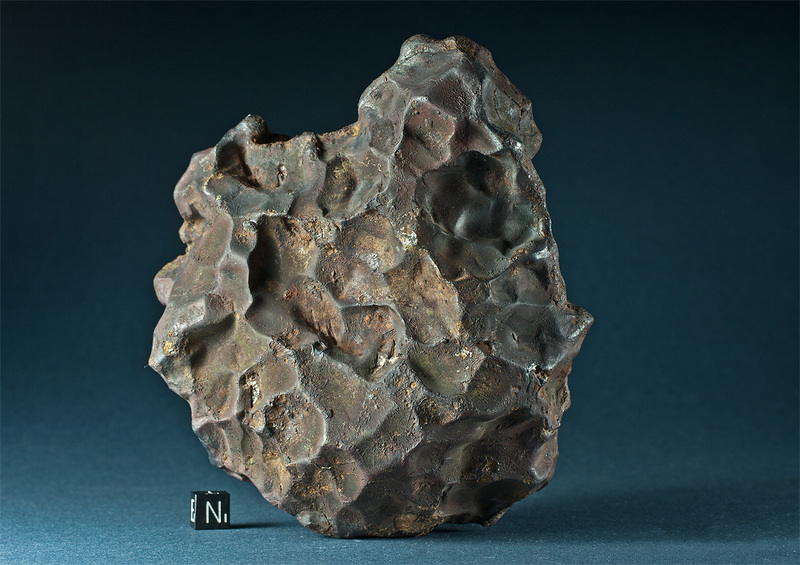 Fusion crust is preserved on 80 percent of the meteorite’s surface and shows numerous flowlines, splash marks and melt rims. 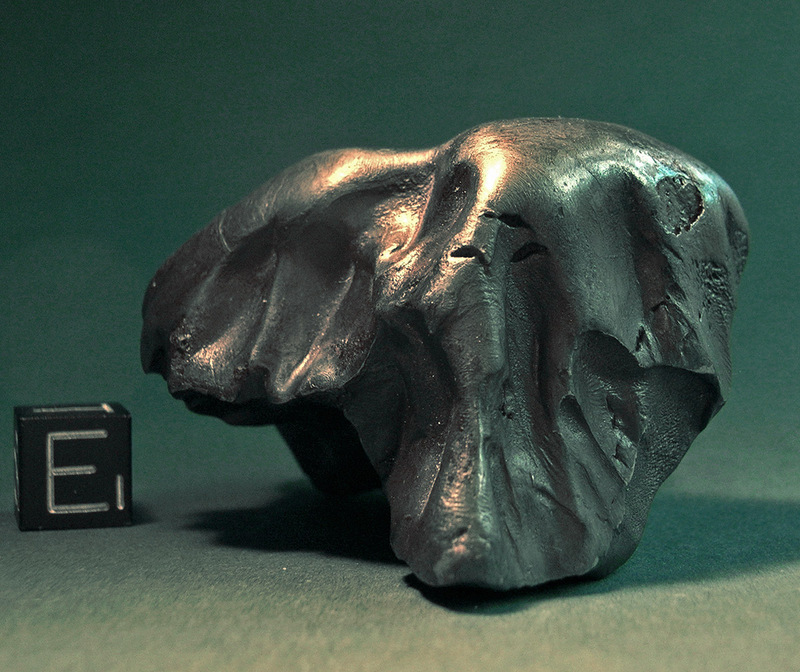 Shikote Alin meteorite individuals in uncleaned find condition are particularly rare. Perfectly oriented individual with conical apex. The flanks are shaped by deep regmaglypts, melt furrows and numerous flowlines.